Traditional crafts villages in and around Ho Chi Minh City produce about 65 different kinds of handicrafts, some of which date back 100 years. As noted by the Department of Agriculture and Rural Development, the handicrafts include weaving, paper making, pottery, embroidery, stone and wood carving, sugar making, woodblock painting and jewellery. Crafts such as the traditional girdle-cake produced in the suburban district of Cu Chi, 50 kilometers from downtown HCMC and salt making in Can Gio district, date back 100 years! Traditional craft villages attract more than 70,000 laborers, creating lucrative employment for local residents. 60 percent of residents in Can Gio district and Cu Chi district are involved in salt making and girdle-cake baking. Local residents, particularly in disadvantaged districts have greatly benefitted in the handicrafts business. Several dying crafts have also been revived, like bamboo, wood, ceramic and pottery. Some such as the famous fermented pork roll once made in suburban Thu Duc has completely been lost. On the other hand, new crafts are being created from agriculture produce, such as attractive animal figurines. 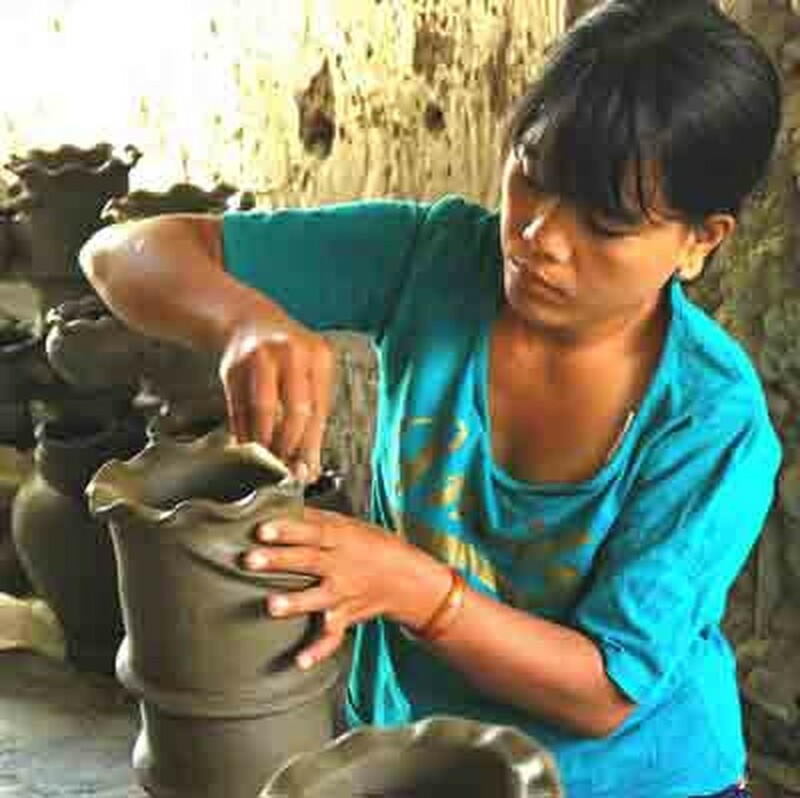 Products from traditional craft villages have earned dollars for the country from exports. Hand-made products such as wood carvings, lacquer paintings covered 20 percent of wood exports last year. Girdle-cake and products made from crocodile skin and bamboo are being exported to countries around the world, raking in dollars for the country. According to the Department of Agriculture and Rural Development, HCMC has just recognized four traditional craft villages. These are the villages that make the famous girdle-cake in Thu Duc district, products from crocodile skin in district 12, salt in Can Gio district and bamboo products in Cu Chi district. Unfortunately the other villages, despite their long history, have not yet gained government recognition and sponsorship for traditional handicrafts. Over 80 percent of these villages cannot apply advanced technologies and 95 percent of craftsmen use their homes as manufacturing base. Most of the craftsmen have little or no education. According to a recent survey, 40 percent of them are graduates and more than 69 percent have not received training in management or new methodologies. That’s why design and packaging of their products has not satisfied customers. Moreover, small scale businesses cannot adapt to strict requirements demanded by the market, owing to lack of development assistance from outside sources. Traditional handicraft villages also have to cope with pollution due to misguided development and use of outdated technologies. 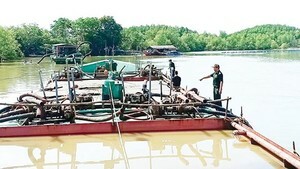 Like other provinces, the villages of Ho Chi Minh City have not adopted any waste treatment methodologies as this would increase the price of their products, leading to weaker competition.